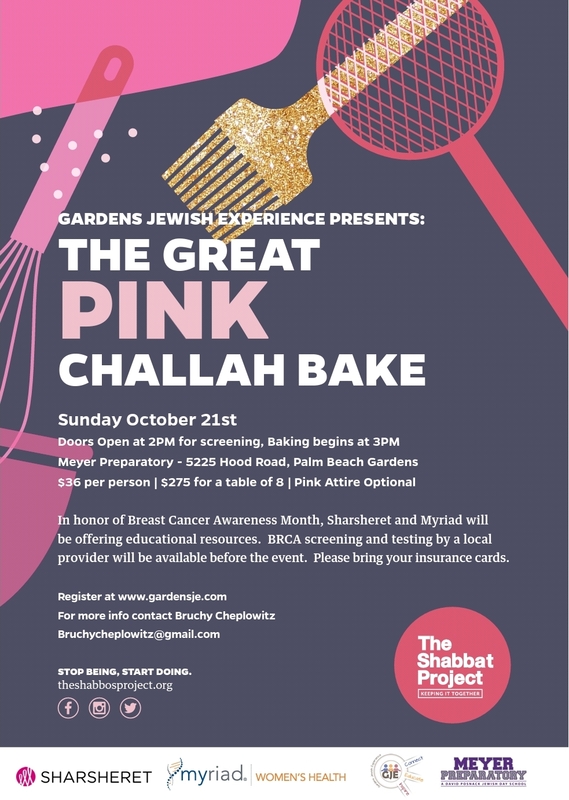 We are so excited to announce our first ever “Great Pink Challah Bake” on Sunday, October 21 at Meyer Preparatory. Doors open at @ 2 PM for screening. Challah Bake begins at 3 PM. Join 200 other women for this momentous event. Did you ever get screened for the BRCA Gene? 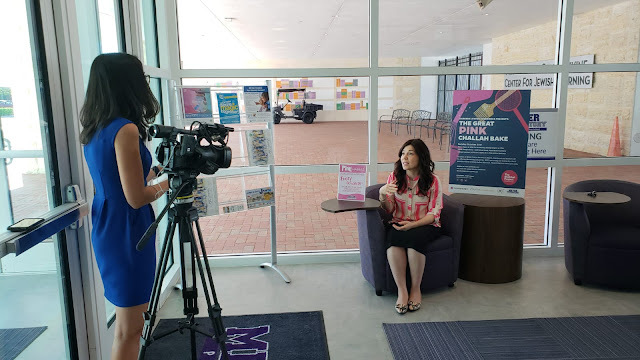 Do you wonder if you’re at risk for breast or ovarian cancer? 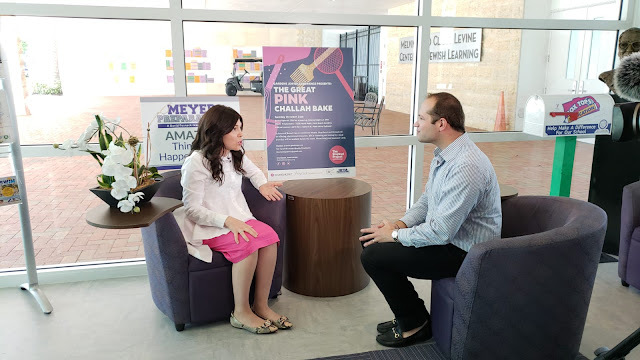 In honor of breast cancer awareness month, we will have onsite screening for the BRCA gene and testing available by a doctor and phlebotomist. Here’s your chance, right here in Palm Beach Gardens. No co-pay, no deductible, just bring your insurance card and find out if you're a candidate for testing and how you can protect yourself. We will then come together to knead, braid and socialize!! !